"We call for the highest political commitment to combat climate change, as a matter of urgent priority," said the proclamation adopted at the closing plenary session of the conference. "We call for strong solidarity with those countries most vulnerable to the impacts of climate change, and underscore the need to support efforts aimed to enhance their adaptive capacity, strengthen resilience and reduce vulnerability," read the document. This brief proclamation was issued to "signal a shift towards a new era of implementation and action on climate and sustainable development." The proclamation stressed that an "extraordinary" momentum on climate change generated worldwide this year is "irreversible" since "it is being driven not only by governments, but by science, business and global action of all types at all levels." 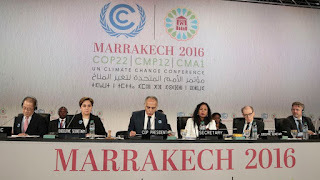 "Our task now is to rapidly build on that momentum, together, moving forward purposefully to reduce greenhouse gas emissions and to foster adaptation efforts, thereby benefiting and supporting the 2030 Agenda for Sustainable Development and its sustainable development goals," it said. The conference, which opened on Nov. 7 to pave the way for the implementation of the landmark Paris Agreement, has been overshadowed by the unexpected win of Republican candidate Donald Trump in the U.S. presidential election. During his campaign, Trump described the issue of climate change as a "hoax" and vowed to cancel various actions taken by the Obama administration, including the U.S. ratification of the Paris Agreement. The statement also reaffirmed the goal of mobilizing 100 billion U.S. dollars to help developing countries cope with climate change, but it doesn't mention any clear timeline or roadmap for developed countries to provide this funding as promised in 2009. According to U.S. special envoy for climate change Jonathan Pershing, developed countries have pledged more than 60 million dollars to help developing countries build their capacity to report on their efforts in addressing climate change. "We were able to adopt a robust work plan that will enable us to flesh out the transparency framework that forms the bedrock of the Paris Agreement," he said. "Countries announced more than 60 million dollars for initiatives on capacity building for transparency... to ensure all countries can implement their obligation to report." 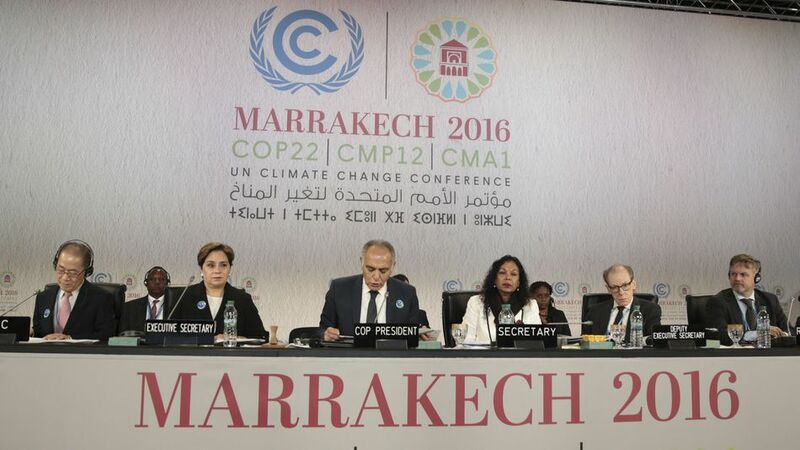 Earlier Thursday, EU commissioner for climate action and energy Miguel Arias Canete applauded the host country's proposal for the UN conference to issue the proclamation. "This presidential initiative would send an important and timely political signal, with the proclamation as a powerful expression of the continued resolve to follow through on our Paris commitment to the decarbonization of the global economy," he told a press conference. "The European Union's commitment to the Paris Agreement is not in question," he said.